Anna sets out to find her friend's killer; she discovers hard truths about her friendships, the slippery nature of truth, and the ache of young love. I can't say too much about this book as I am so scared of ruining it for someone else so this review will be brief to say the least. 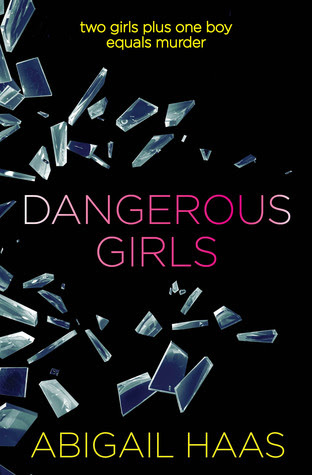 Dangerous girls completely and utterly hooked me in. I literally could not put it down to the point where I was ignoring everything else I ought to be doing just to finish another chapter (then another and another). The story starts dramatically with a transcript of a 911 call to report the discovery of the body of a girl who appears to have been stabbed in her room whilst on holiday. The girl is a one of a group of American teens who are on holiday together, one of whom who is the prime suspect in the case whose story you follow. The story that then follows looks at the background the crime and follows the trial as it is decided who killed her. I was completely engrossed by the storytelling. It is a mix of flashbacks, transcripts of interviews, TV shows and scenes as the trial all unfolds. I was kept guessing right through to the end and absolutely loved the end. A fab read if you love murder mysteries, intrigue and to be kept guessing. I haven't read a lot of murder mysteries but have recently started dipping my toes in that genre thanks to Gillian Flynn's incredible thrillers. This sounds like something I would enjoy. It's written from the perspective of the one being accused?